Well Pete from Ohio, thanks for your suggestion, and… directness. Here you go. When one thinks of a meat pie, you could go two different directions: either your traditional “pie” pie, or a hand pie. While I love traditional pies, I went the hand pie route with this one. Though if it bothers you, just take the filling below, throw it in a dish and put a pie crust on top. 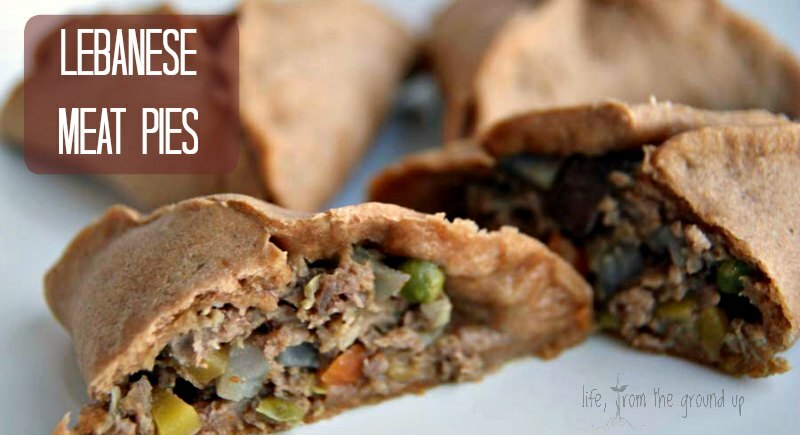 This recipe is a take on a traditional Middle-Eastern-style Lebanese meat pie, or sfeeha. Instead of a pie crust, we’re taking the filling and wrapping it in dough before baking, which is equally awesome. If you’re time-challenged, you can use a store-bought pizza or bread dough for this, but I prefer to start from scratch. First, you’re going to whip up that dough, and while it’s rising, we’ll get to work on the filling. For this batch, I used carrots, potatoes, peas, onion, and garlic, and a mix of ground beef and lamb. Seasoning was very simple, with some salt, pepper, and a healthy scoop of curry powder. 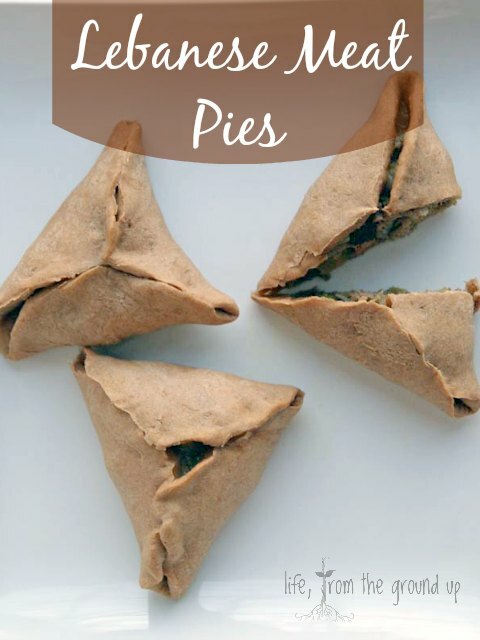 Many Lebanese meat pie recipes call for cooking the meat first, but some purists put the meat in uncooked (it gets cooked while the pies bake). I like doing the raw meat, as it helps everything to keep its shape and you keep all the juices. If that doesn’t excite you, go ahead and cook the meat first. I diced the vegetables finely and did cook those – if you’re using something softer, this isn’t necessary, but I didn’t think the 20 minutes of bake time would cook the carrots and potato thoroughly, and nobody wants crunchy potato in their meat pie. Mix the vegetables with the raw meat when they’re done. After the dough has risen for an hour or so, you’ll want to roll it out fairly thin, maybe 1/8 – 1/4″. You can either roll it all out at once (and cut out rounds with a biscuit cutter), or cut the dough into chunks first and roll each chunk into a round. I rolled out about half of the dough, then used a large mug to cut out circles. I wanted meat pies with a little more heft, but if you want something for hors d’oeuvres, use a 2- or 3-inch cutter. Place each round onto a greased baking sheet. Put a spoonful of filling in each one, then fold the edges up in thirds, meeting in the middle, and pinch the seams shut. If you’re lazy, you can just fold them in half, but they look nicer in thirds. When they’re all ready, bake at 375 F for 18-20 minutes (a little less if they’re on the smallish side), then dig in. In a small bowl, combine the yeast, sugar, and 1/4 cup water. Let this rest for 10 minutes. In a larger bowl, combine the flour and salt. Add the oil and yeast mixture to the flour, and while mixing, slowly add the rest of the water. The dough should be a little sticky. In a mixer or by hand, knead the dough for another 5-7 minutes, until smooth and stretchy. Put the dough in a clean, lightly oiled bowl to rise for an hour or so. In a large saute pan, heat the oil, then add the garlic, onions, carrots, and potatoes. Cook over medium heat until tender, but not overly soft, about 10 minutes. Add the peas, salt, pepper, and curry powder, and mix well. Remove from heat. In a large bowl, combine the ground beef and lamb, using your hands to mix it well. Add the vegetables to the meat, stirring to make sure it's well-incorporated. Depending on how much room you have, roll out the dough on a clean surface (may need to do this in batches) to about 1/8" or 1/4" thick. 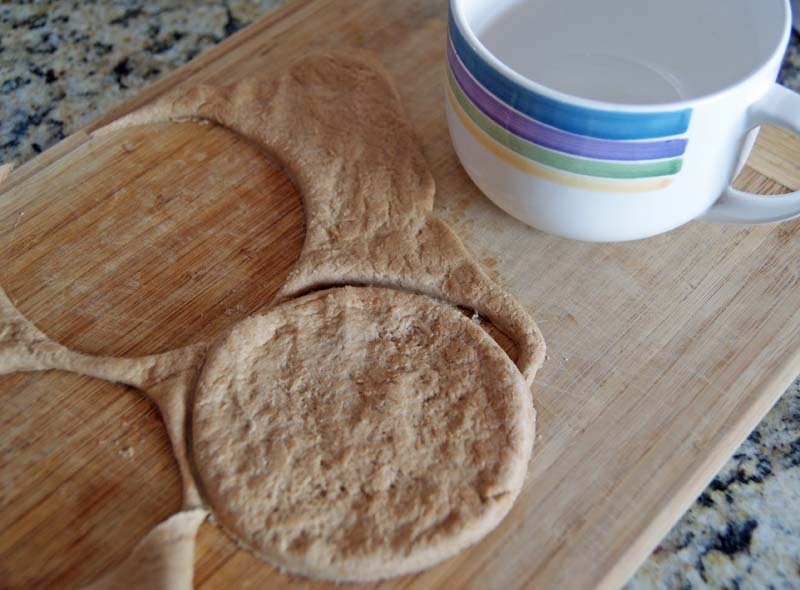 Using a biscuit cutter or the rim of a large mug, cut rounds out of the dough. Lay the rounds onto a lightly oiled baking sheet. 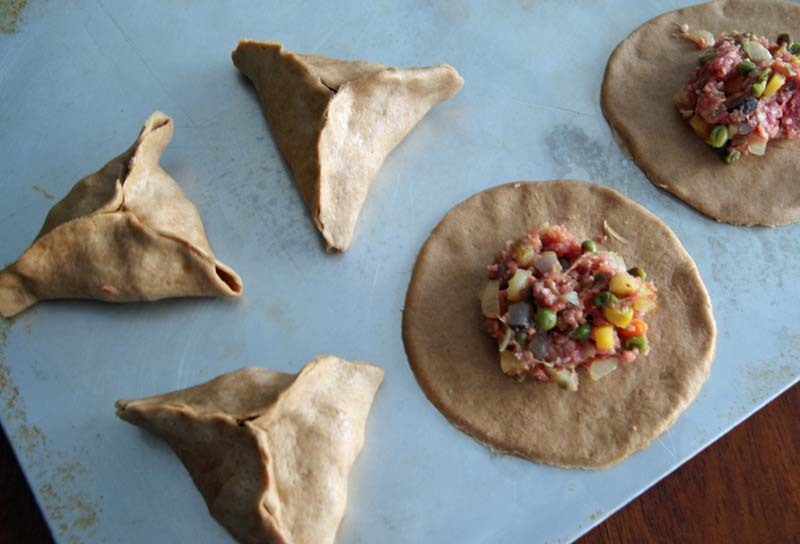 Place a spoonful of filling into each round, leaving sufficient room around the edges to fold over. Fold the edges in thirds toward the center, pinching together in the middle. Pinch the rest of the seams closed. If you want a little shine, brush with some more oil or an egg white before baking. Bake at 375 F for about 18 minutes, maybe a little more or less depending on the size, or until the crust is a nice golden-brown. Remove and let cool for 10 minutes before eating. By no means should this recipe be followed exactly. I used a hodgepodge of what we had on hand, and I rarely measure anything – any filling that’s left is just filling that I eat without it actually, um, filling something. If you don’t like peas, don’t use them. Want a more authentic flair? Go ahead and add in some tahini or pomegranate molasses, both traditional Lebanese ingredients. I used a 50/50 mix of beef and lamb, but you could do all of one or the other, or even ground turkey or pork. Cooking is an expression of who you are – if you don’t love it, don’t make it. Pete from Ohio, I hope you like these. Excellent ! I feel an obligation to try it. Seems like putting the ingredients in raw will make it more like 31 1/2 minute meal. Your next challenge: I want to believe that here is a real hero out there… A Gyro that is not made with the log-o-lamb meat. I tried find if there was a restaurant near me that made with like a real spite of mean, an authentic Gyro? Is there a restaurant in Northern Ohio? If not, then perhaps you will need to create Pete’s Gyro. It bakes the same amount of time whether or not the meat is raw, and it’ll probably add time if you cook the meat before you put it in. Just trust me. And I’ll see what I can do about a gyro; I’ve never tried making one. Thanks Pete from Ohio.